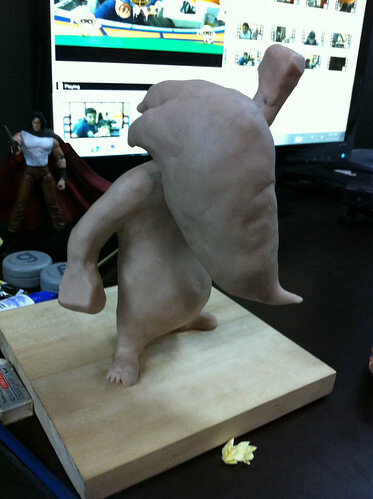 Day 2 : Still in the raw sculpting mode. The basic form of Mr. Gonjak. We have new staff, Mr. Firdaus in the house. With 2 years experience, Mr. Firdaus will join the 3D team for KIMI production. 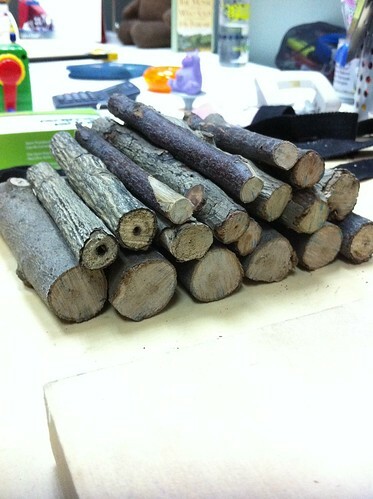 It seem’s the he has another set of skill that made us happy. 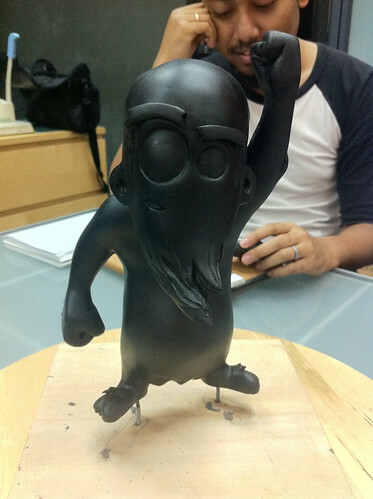 Sneak preview on the Mr.Gonjak’s Collectible Figure. 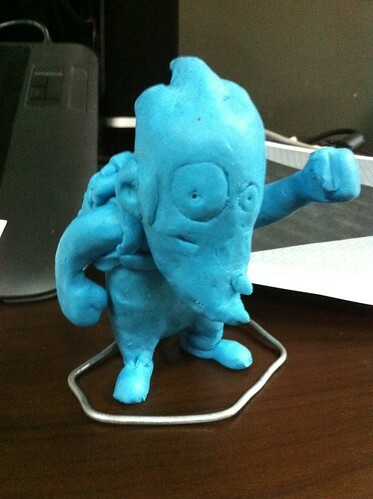 The draft model using plasticine – while waiting for computer setup….